Embed from Getty ImagesBreast cancer is, without any doubt, women’s most feared cancer. In spite of increased awareness through women’s education, campaigns for its early detection and extensive research, some misconceptions persist and many issues are still a subject or debate, even among doctors and scientific organisations. You are at increased risk of breast cancer if you have a family history, but of all breast cancers, only 5 to 10% are hereditary. If you have one first-degree female relative (mother, sister or daughter) with breast cancer, then your risk is doubled; with two first-degree relatives, your risk of breast cancer is 5 times higher. If your affected relative is a male (yes, men do get breast cancer, but is very rare), your risk of getting breast cancer is higher. The same seems to be true for having a female relative with breast cancer from your paternal side (e.g. an aunt or your grandmother). 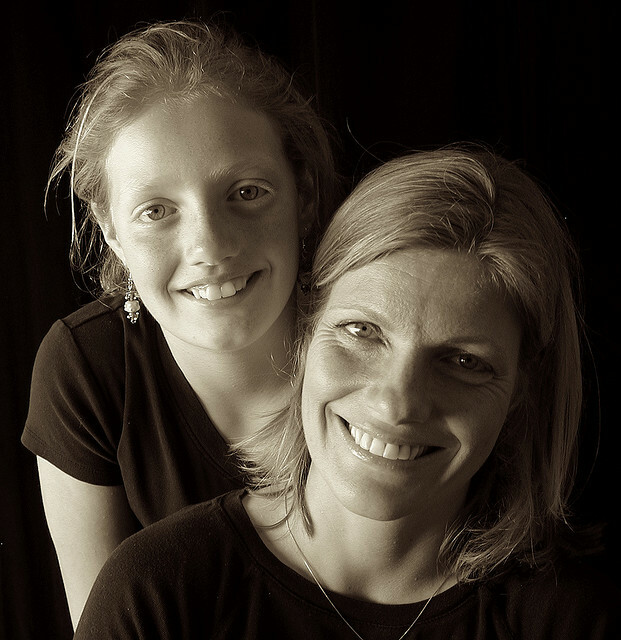 Most (but not all) hereditary breast cancers are caused by a defective gene passed from mother to child, the best known of which are BRCA1 and BRCA2. If you have a family history of breast cancer, you may discuss with your doctor whether you should be checked, what being positive means and what you can do about it. As a rough estimation, while an average woman has about 12% risk of developing breast cancer in her lifetime (that is, of 100 women, 12 will develop breast cancer at some point in their lives), a woman with a gene defect may have 45 to 80% risk (4 to 8 out of 10 women with a gene defect will get breast cancer), according to the gene involved. Some research in the past had suggested that antiperspirants are linked to breast cancer because parabens contained in these products were found in the tissue removed from breast cancer patients. These findings were not confirmed by other studies, and the fact that parabens were found there does not mean that they are the cause of breast cancer. Aluminum contained in antiperspirants has also been suggested as a possible cancer- causing agent. But this has not been proved by any study. Another claim is that antiperspirants allow a toxin build-up by blocking the sweat glands. This is another misconception, as toxins are cleared by lymph nodes and not by the sweat glands. Well-designed epidemiological studies on this issue found no link between breast cancer risk and antiperspirant use, deodorant use, or underarm shaving. It has been suggested (mostly by e-mail and internet rumors) that bras, especially those underwired, may cause breast cancer by obstructing the breasts’ lymphatic flow, which is in charge of clearing different toxins that may be present in the breasts. Several studies have been conducted to address this issue, none of them confirmed these fears. Mammograms do involve radiation exposure, but the dose utilised is extremely low. 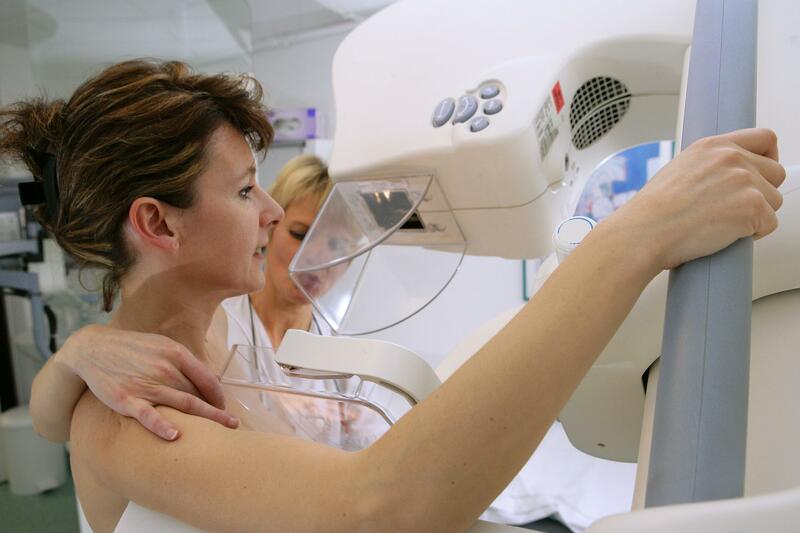 With a newer type called digital mammogram, the radiation exposure is even lower. Controversy exists as to whether this low radiation dose is enough to increase breast cancer risk, and experts opinions are divided. Some evidence indicates that mammograms might increase the risk of breast cancer in women starting yearly before the age of 35. This is of particular concern when a defective gene (BRCA mutation) is present, since these women are usually advised to start yearly mammograms at young age, and they are the ones that may eventually be more susceptible to the harmful effects of radiation. For most of the women though, the benefits of mammograms largely outweigh their possible risks. This is another controversial issue that has fuelled endless discussions among experts. Regular mammograms do not prevent or reduce breast cancer. 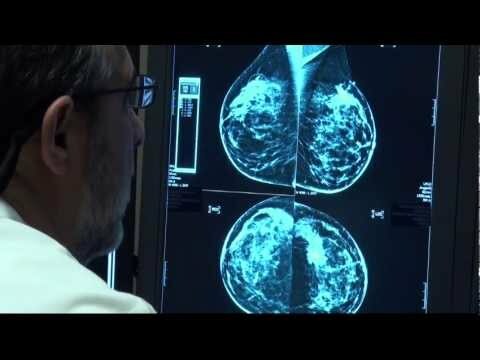 They just detect breast cancer that already exists, but an earlier stage, thus reducing deaths among breast cancer patients by about 17% if done every two years, by 20% if done annually. Other studies have found a 30% reduction in mortality. In addition, since cancers are found earlier, less mastectomies are needed, and most of the women can be treated conservatively (just removing the lump). These figures mean that thousands of women get to live thanks to mammograms. However, some experts believe that the reduction in mortality mammograms offer is “modest”, which led to intense confusion and disagreement as to whether mammograms are worth doing, and how often they should be done. Mammogram opponents also state that the exam has a considerable false positives rate (that is, it suggests malignancy when something is benign), leading to unneeded breast biopsies, increased health costs and extra anxiety. Many studies have been conducted on this subject; breast implants do not seem to increase breast cancer risk. The main problem with implants is an impaired detection of breast cancer since they may yield mammograms and ultrasounds more difficult to perform and interpret. A very rare type of lymphoma called anaplastic large cell lymphoma might be linked to breast implants. Since this tumor is so uncommon, is very difficult to prove an implant causative role. A faulty French implant (PIP) was linked to increased risk of breast cancer, leading to massive implant removals. The protective effect of breastfeeding is modest at best, and seems to be true mostly for women who breastfed (each child) for more than 1 1/2 to 2 years. Breastfeeding has many benefits, both for the mother and the baby, but its protection against breast cancer is doubtful. Breast cancer does occur in younger women. Of all cases of breast cancer, about 7% are diagnosed in young women below the age of 40; furthermore, breast cancer is the most common cancer diagnosed in this age group. Several studies show that this age population tends to have more aggressive cancer types. Family history and genetic mutations account for increased risks of breast cancer in premenopausal women. Other possible factor that may increase risk are long-term use of oral contraceptives and high animal fat diet consumption. Although mammogram is not recommended in this age population unless there is a family history, an annual breast examination is strongly encouraged. Breast cancer incidence is strongly related to age; the older a woman is, the higher her breast cancer risk becomes. In the UK, an average of 80% of breast cancer cases are diagnosed in women over 50s, and around a quarter (24%) are diagnosed in women aged 75 and over. Breast cancers diagnosed in this age population though, tend to be less aggressive. Controversy also exists as to when to stop doing mammograms. In the UK, women in this age group are invited for mammogram every three years; in the USA most experts consider that there is no upper age limit for mammogram as many studies show that even older women benefit from it. Just because someone in your family had breast cancer doesn’t mean you will get it. Genetic testing can help you understand your inherited risk and allow you to make choices about your future care. Some studies have shown that a low-fat diet, physical activity and cutting down on alcohol consumption seem to reduce breast cancer risk. If you are at high risk for breast cancer you will need to do breast examinations and other tests such as mammogram, breast ultrasound and eventually magnetic resonance imaging (MRI) more often; these exams may help you find cancer at a much earlier stage. A drug called tamoxifen may reduce the risk of breast cancer in certain high-risk women, although more research is needed to precise which women will benefit from this treatment. A lot has been said lately about prophylactic double mastectomy. This is indeed a viable option for women with a very high risk, as it can reduce the incidence of breast cancer by more than 90%, usually with excellent cosmetic results. It has been long said that there’s no connection between breast size and risk of getting breast cancer. But some recent studies have challenged this old perception: women with very large breasts, besides being harder to examine, do seem to have increased breast cancer risk. This doesn’t mean that women with small breasts are safe; all women with any breast size should undergo breast cancer screening. Breasts are made up of fatty, fibrous and glandular tissue. Dense breasts (as seen on a mammogram) have more glandular and fibrous tissue and less fatty tissue. It is controversial whether breast density is an independent cancer risk factor, but most studies agree that women with dense breasts have 1,2 to 6 times higher breast cancer risk than women with average density. 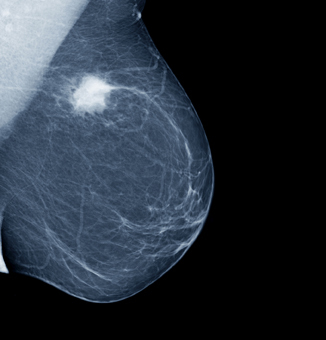 What is clear is that dense breasts make cancer detection more difficult. 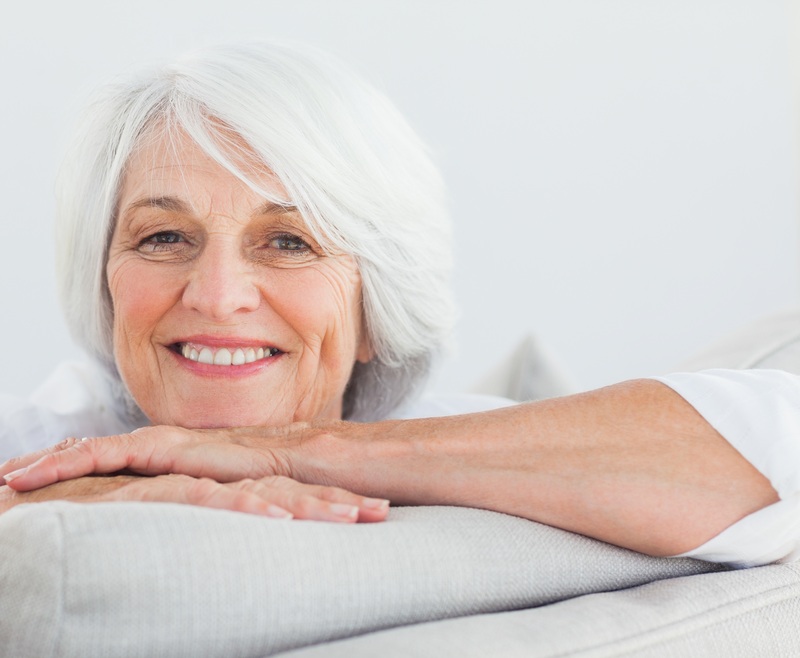 A number of factors can affect breast density, such as age, menopausal status, certain medications (including menopausal hormone therapy), pregnancy, and genetics. Mandelblatt JS, et al. Effects of mammography screening under different screening schedules: model estimates of potential benefits and harms. Ann Intern Med. 2009 Nov 17;151(10):738-47. Hussein A, et al. Epidemiology and prognosis of breast cancer in young women. J Thorac Dis 2013;5(S1):S2-S8. Intro: Getty images; 1. Dave, Flickr.com; 2. belle-belle-belle.com; 3. avonshop.co.uk; 4. media2.s-nbcnews.com; 5. verdevalleymedicalcenter.com; 6. FDA.gov; 7. cdn.sheknows.com; 8. Kira Westland, Flickr.com; 9. sublime-beauty.net; 10. torontosun.com; 11. cdn.sheknows.com; 12. i.ytimg.com.